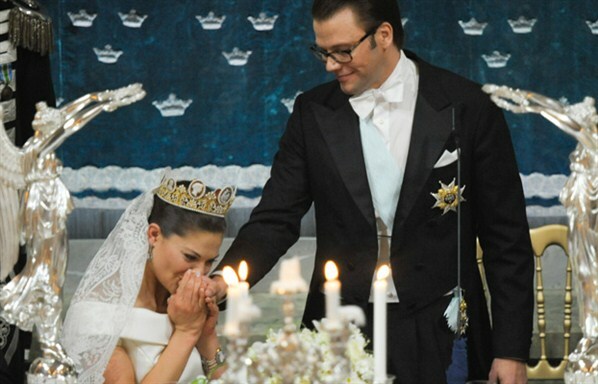 I get teary-eyed every time I see pictures from the wedding of Crown Princess Victoria to Daniel. She radiates happiness in such a way that you can’t not feel a sense of giddiness from her glee. And you can so see how much he simply adores her. “The Princess of my heart…” cue the waterworks. I think they are such a lovely, regal couple. Sweden is no doubt in good hands with these two! This is a couple I really care about. They are obviously in love and very caring and supportive of each other. They seem like real people instead of cardboard dolls. I wish there were more like them. The King and Queen did an amazing job raising those children. They have all grown into responsible caring adults and they all married for love. They make me smile. Can’t wait to see the next royal wedding in Sweden. They are always lovely.